Scratch That: Brownie + Cookies = Brookie! 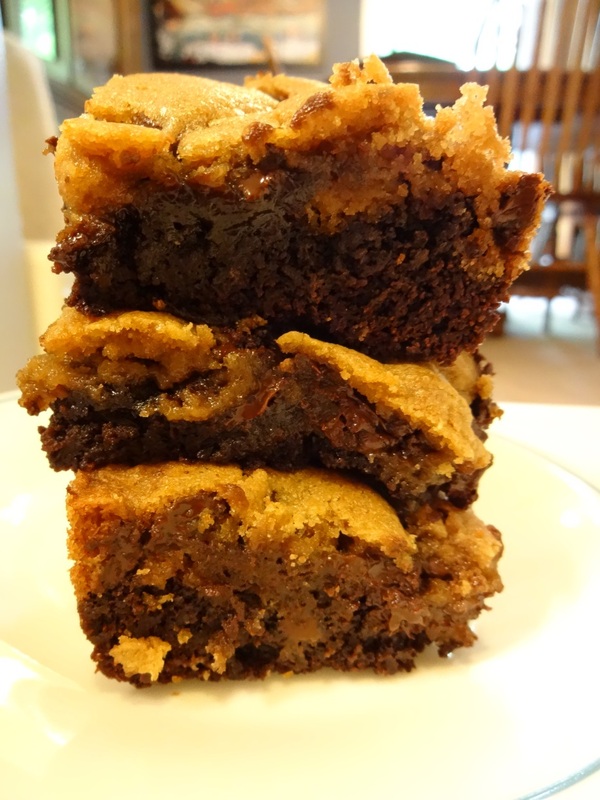 Brownie + Cookies = Brookie! My daughter has been asking for "brookies" lately. One part brownie, one part cookie. She said that her cousin makes them and she just had to try them. 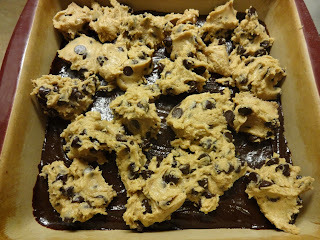 Since I'm always up for a baking challenge, I did some internet searching and didn't find a recipe that I wanted to use. I needed something that would be chocolatey and ooey-gooey and melt-in-your-mouth soft without falling apart in our hands. Instead of "reinventing the wheel" I stuck with my tried and true recipes. 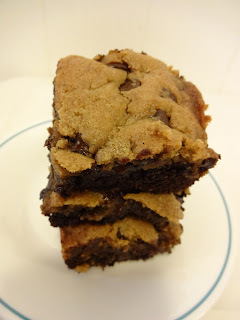 So, without further ado, here is my recipe for Brookies, Brownies and Cookies smooshed together. Mix margarine and cocoa well. Add sugar, eggs, and vanilla and mix until combined. Add flour, baking powder and salt and mix until combined. 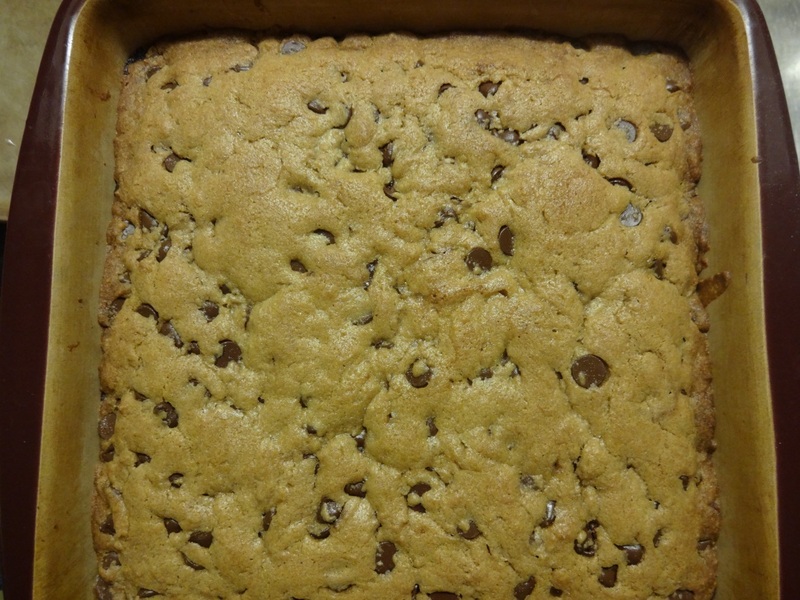 Spread evenly in a buttered and floured 9x9 baking pan. 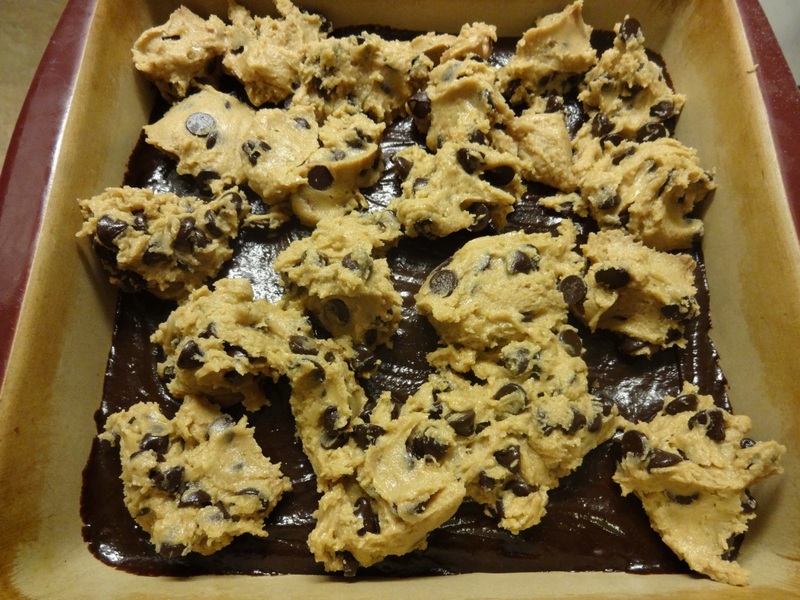 Dot cookie batter over brownie batter. Pat and spread cookie batter so that it evenly covers the brownie batter. Bake in 350 F oven for 25-30 minutes. 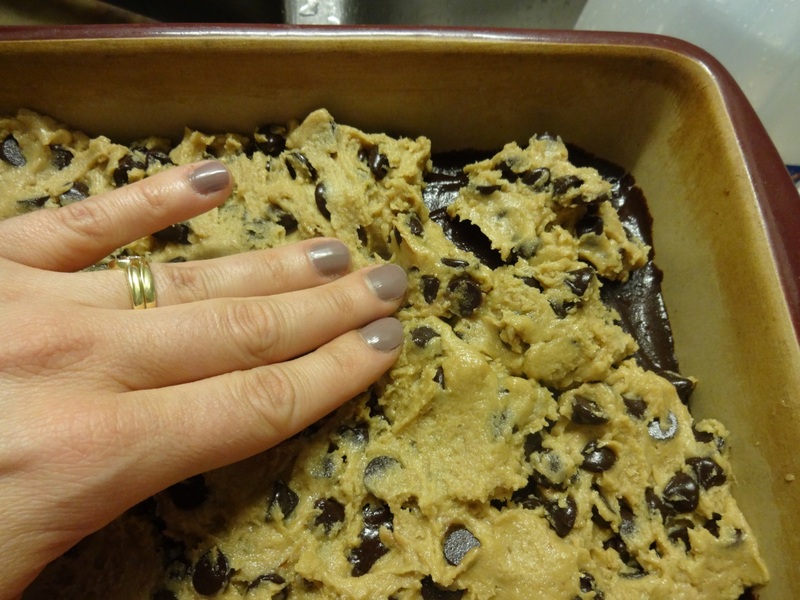 Do not over-bake or it will be too dry when it cools. This is the hardest part... Let them cool for at least an hour so that they will be set before you cut them. Cut into 16 (or more or less, depending on how many people you have to share with) and enjoy.